I couldn’t help myself. I found another machine at a price I couldn’t pass up. This one is a Japanese made version of the Singer 128 which is the 3/4 scale version of the 127. I had to change the belt and replace the bobbin winding tire and rebuild the tension disc assembly and oil it and it is running like new. 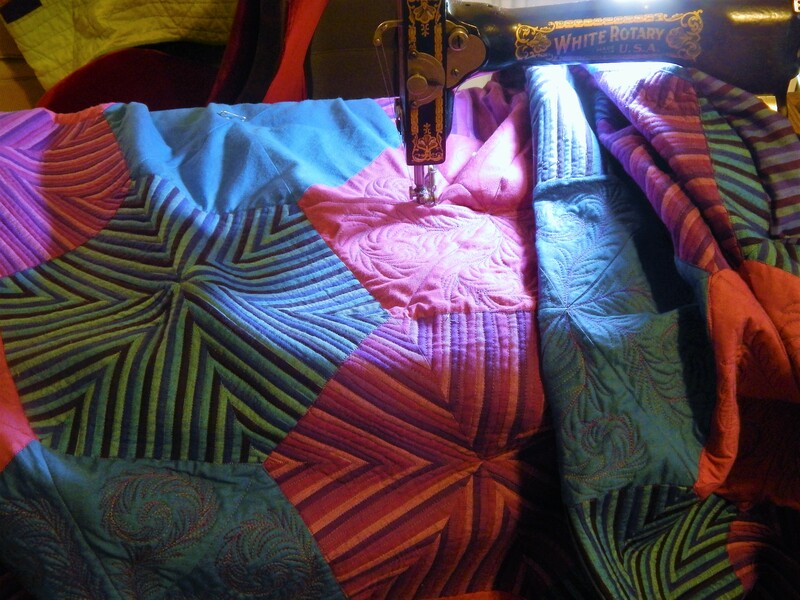 But it always seems to want to jump out of the thread guide on top of the machine. The machine was not really designed for the thread to be up above it that much so I put a safety-pin over the spool pin on top of the machine and run the thread through it and it keep the thread in line better. 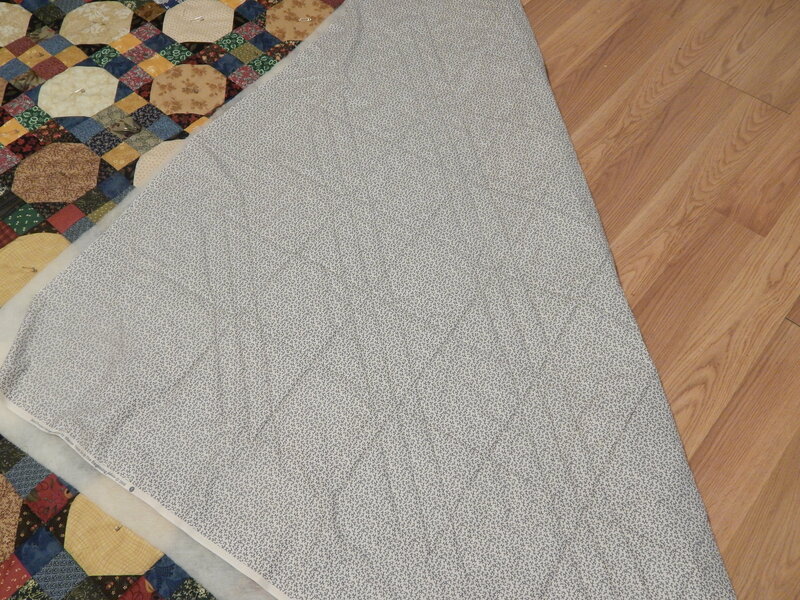 once the ditch quilting is finished I’ll free motion in the snowballs. 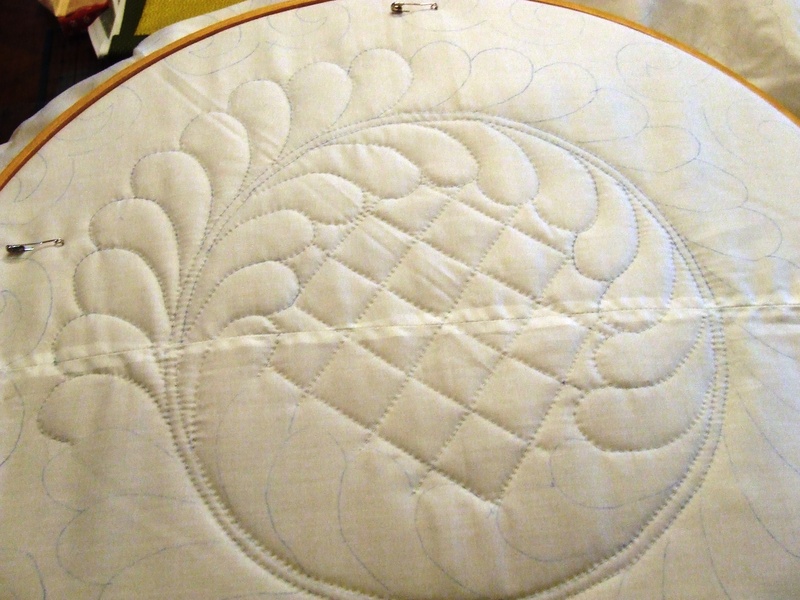 I am still working on the applique top and Teddy is helping. 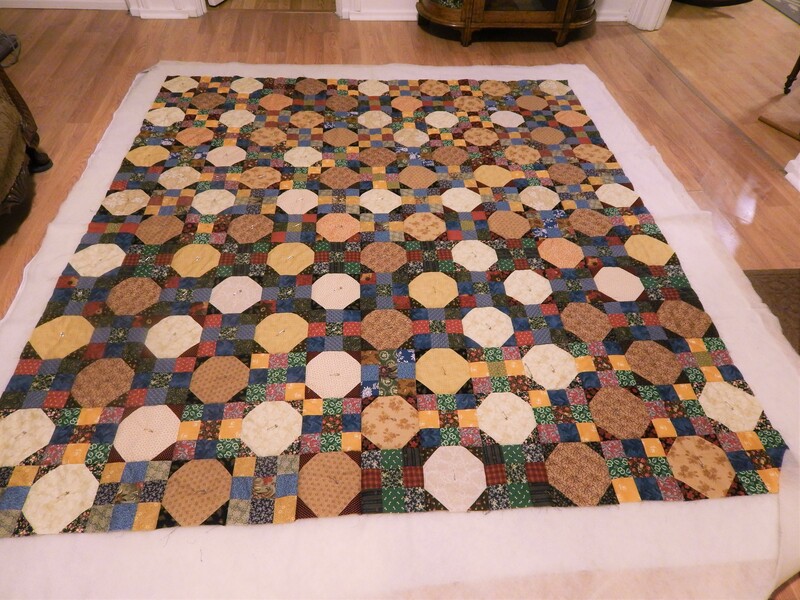 I can hardly wait to hand quilt it! 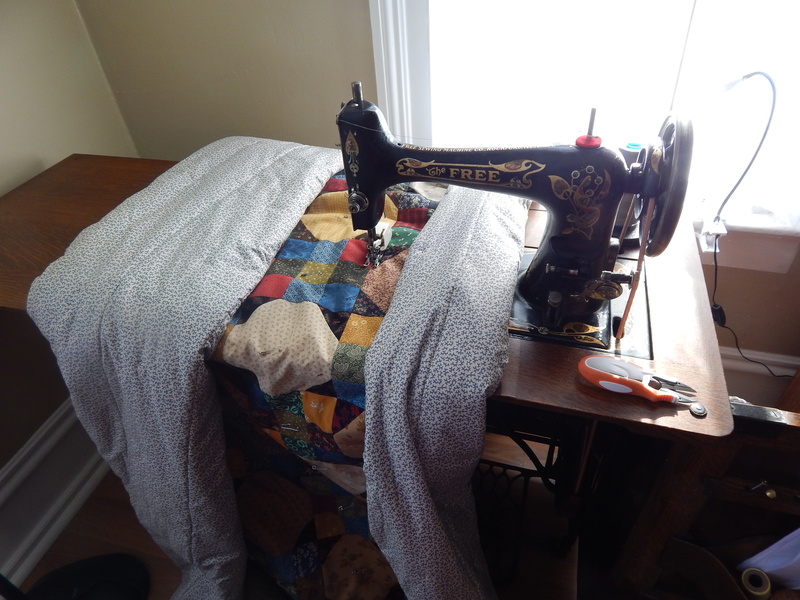 This entry was posted in Quilts and tagged Quilting, Quilts, vintage sewing machine. Those vintage machines are a slippery slope! Such great machines, reasonably priced usually, and in such variety. Enjoy your new acquisition! Yup, you’re hooked! I like your safety pin idea. 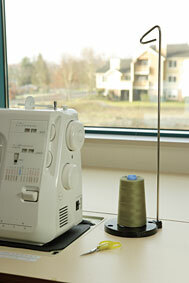 I use an empty bobbin, and that works well, too. Not sure I’m happy about the competition in sewing machine acquisition in my “territory.” Ha, ha! Yes it is…….you should see my eBay watch list! Oh boy – you and Bonnie Hunter! She loves her vintage machines also and has a few dozen? it seems. Hi to Teddy! His ears are down and they are usually up. Wow! Impressive that you are able to rebuild and replace the items needed for the machine to purrrrrform! That machine must be so happy to be in use again! Tim, I collect vintage machines, too. So, I understand your not being able to resist buying this lovely machine. I love old vintage machines like the one you bought! How did you learn how to fix them? I’ve wanted to purchase one many times but I don’t know how to fix them nor how much it would cost to take them to a sewing machine “mechanic”. 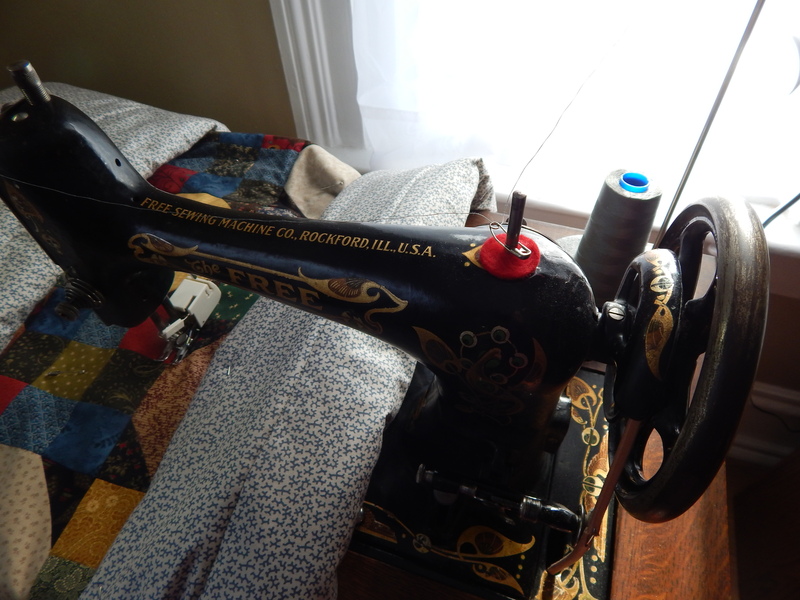 My Dad has the same sewing machine he bought in 1967, and it’s the one he uses the most. He’s an upholsterer and has a terrific mechanic that comes to his shop and fixes the machines, but Dad lives about 4 hrs away. 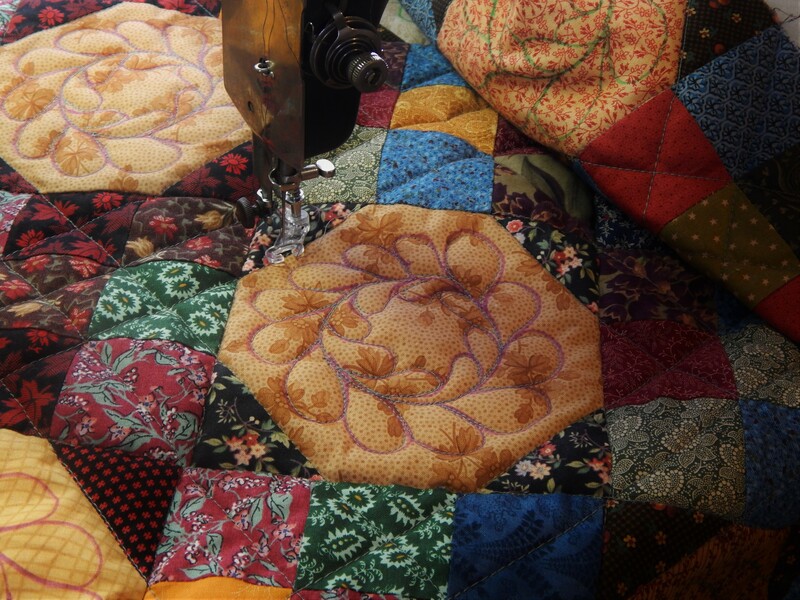 That 1967 machine runs fabric through as if it were butter, and it flys!! – I love to use it when I go visit. I learned to fix them just by taking them apart and seeing how they work. Ever since I was a kid I loved taking things apart to see how they worked. these old machines are really simple, I had to read a repair manual to fix a Singer 600 (from the 60’s) the decorative stitch cam stack was a bit tricky……but I can usually figure it out by just looking at it for a while. Newer machine with all that computer stuff are way beyond me. 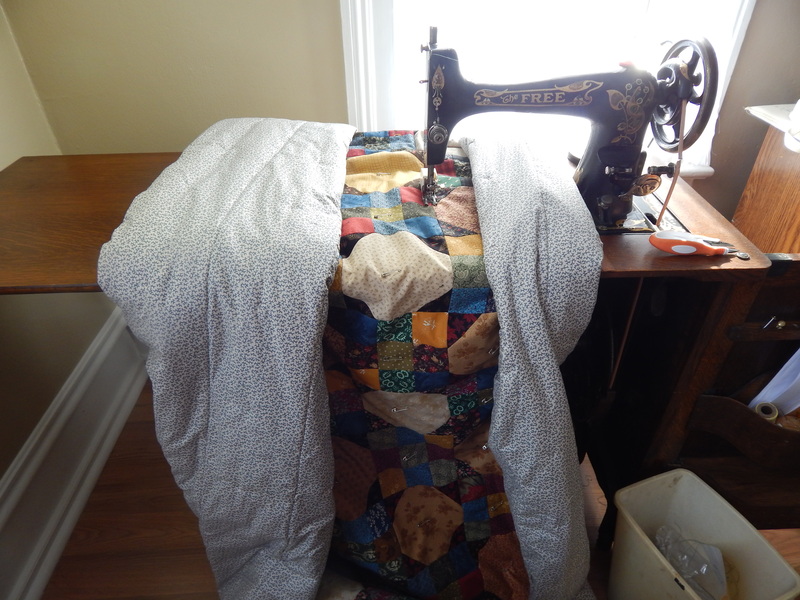 It also seems like you’ve got much more room under an older machine to roll up your quilt for quilting – I always seem to be fighting with the space under my modern machine. I use the term modern loosely as I’ve had it for 30 years and it was second hand when I bought it! Wonderful to see the latest machine acquisition. Do you replace the electrical cord before plugging it in? I have a few old machines and one has round prongs so I can’t plug it in. Haven’t found that style of adapter yet…But they are fun to play with! I had no idea you could get walking feet for them, not to mention making up a free motion foot. I’m seeing new possibilities in their future for use…I’d really enjoy having them be more than decorative and fun to play with. Like the machines that you purchase.I found two Wilcox and Gibbs that see. I always go back to the ones I’m more familiar with. your lucky to have found such beauties. 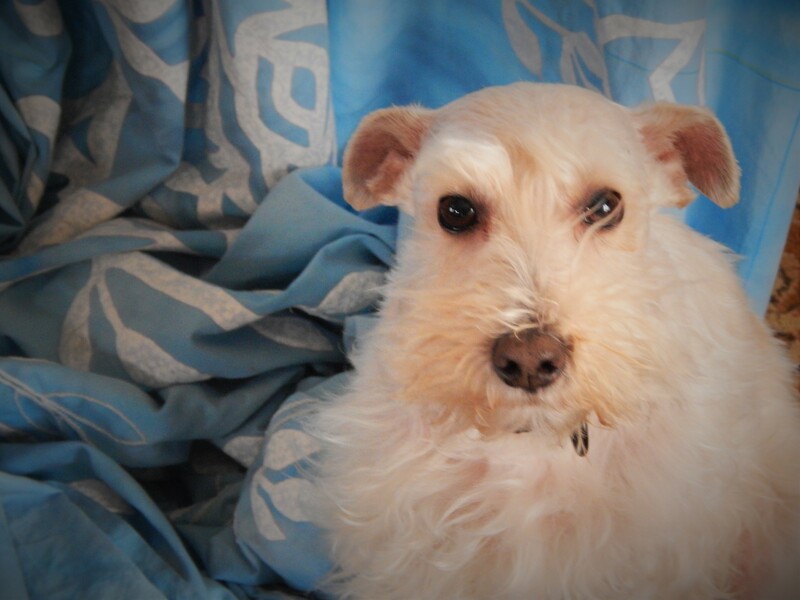 Hello to Teddy. He certainly does a lot of quilt sitting. Wow, thank you. I thought I was the sick one. Last summer, we drove 80 miles round-trip for a real piece of junk, but hubby still assures me that it is salvable. At last count it was 18 and counting. Not all vintage, but machines none the less. Our oldest is a 1902 White that needs a belt, but is a beautiful piece of furniture. I see a third home purchase in your future to accommodate your collection of antique machines. I like the idea of the safety pin. Watch yourself, you might get hooked like Bonnie Hunter. 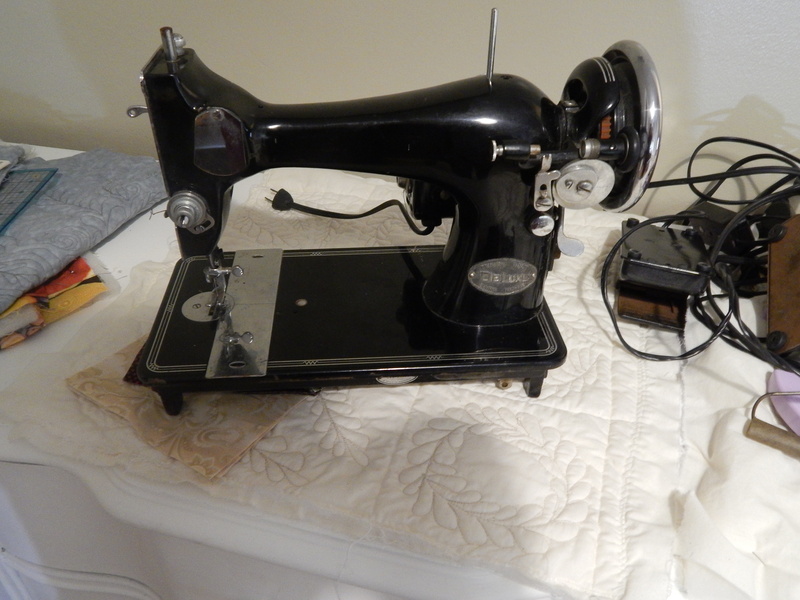 She buys a machine a week and has them all over…..
Hi Tim the older blue one is a Montgomery Ward and they are not bad machines, the Deluxe is a great work horse and so is the Singer 201-2. My 201-2 was given to me and she is the best…I use it daily. 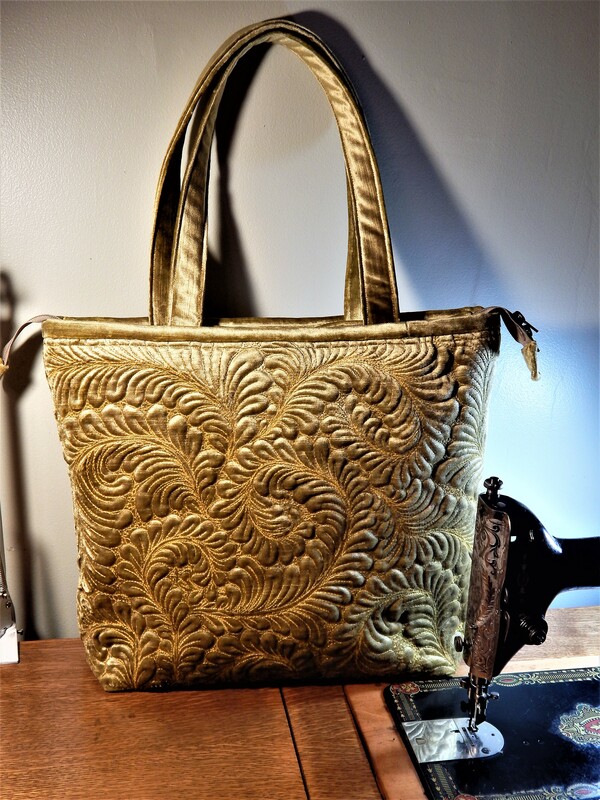 love your blog and thank you for posting so many great pics on your work.